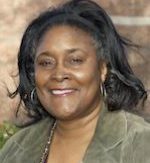 Felecia Thompson is Adjunct Professor of Formation at Northern Seminary. She is a native of the south side of Chicago, a mother of two grown daughters, and has been married for 39 years to Steve. Felecia received her Bachelor of Arts in sociology/psychology from DePaul University, a Master of Science in human services administration from Spertus College, and is receiving a Doctor of Ministry degree at Bakke Graduate University in Seattle. Felecia has also gone through senior management training with ServiceMaster Corporation and the John Templeton Institute’s program for non-profit board leadership and fundraising. Felecia’s teaching gifts have given her instructional roles at Moody Bible Institute, Trinity Christian College, and numerous conferences. Her administrative and leadership gifts have been utilized in executive roles with the DeVos Family Foundation’s Urban Leadership Initiative, the Family Care Network of Chicago. For most of the past 20 years, Felecia has directed community partnership programs for Trinity Christian College and then for World Vision, where she served as Executive Director of its Chicagoland operation for nearly three years. She currently functions as Director of Domestic Mission for Christ Church of Oak Brook in Chicago’s suburbs where she leads the congregation into national, regional, and local areas of service. Her particular bent has been the introduction of the themes: Bible Justice and the Church’s responsibility to it. She is also heading and teaching on what Christian Community Development looks like in DuPage County in and around Christ Church. Felecia is passionate to see his church engage more fully the needs of the neighborhoods around it.